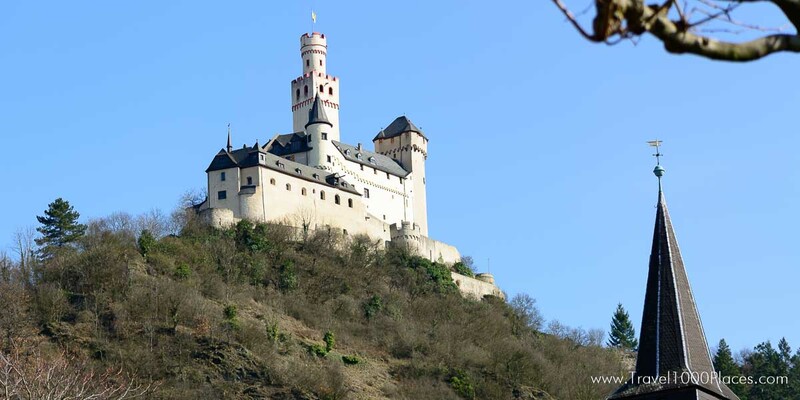 The Marksburg is a castle above the town of Braubach near Koblenz in Rhineland-Palatinate, Germany. It is one of the principal sites of the Rhine Gorge UNESCO World Heritage Site. The fortress was used for protection rather than as a residence for royal families. Notable is an example of a bergfried designed as a butter-churn tower. 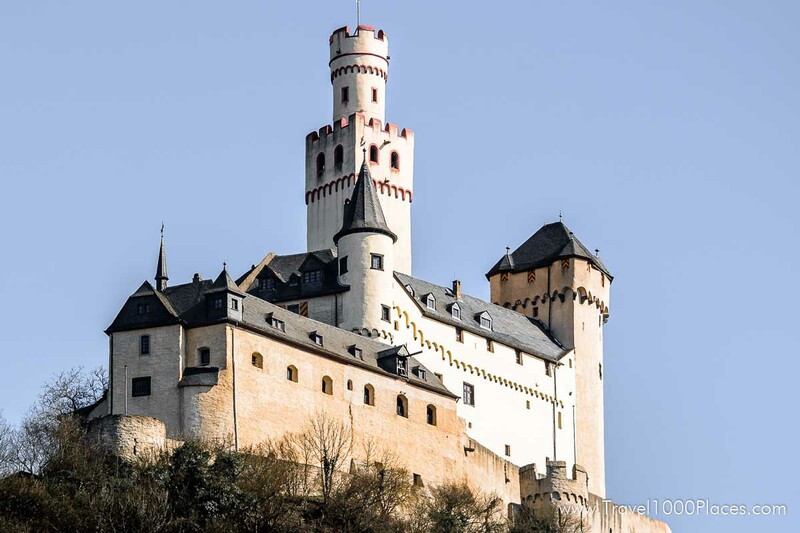 The Marksburg is a castle above the town of Braubach in Rhineland-Palatinate and is a UNESCO World Heritage site.